I have a room available for rent in a modern, 2 bedroom, 2 bathroom apartment in Wooloowin. The room has its own bathroom, walk-in robe, and private balcony access. 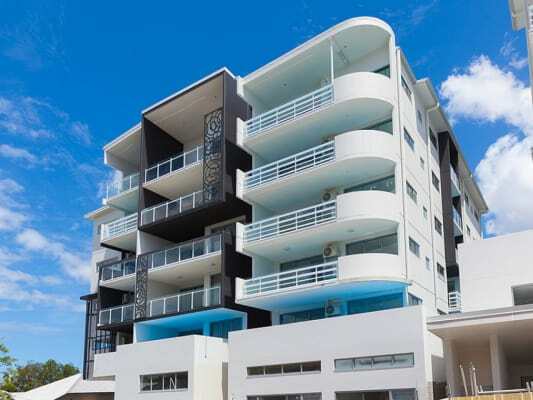 The apartment is located approx 8 mins drive from the CBD / Fortitude Valley, two streets from a major shopping centre (Lutwyche), all major gyms, a Liquourland, and a central public transport hub with frequent buses / trains. It has plenty of unmetered parking. The apartment is fully furnished with brand new modern, stylish interiors. The room available comes with a double bed, bedside tables and lamps, a chest of drawers a study desk and chair - you would only need to bring linen. Rent is $200 p/week, not including bills and Internet. Internet is $7.50 p/week for unlimited ADSL2+. You will be living with a professional young male who is super friendly, very neat and tidy, and is barely home (we lived together for six months and I can count on one hand how many times I saw him). He works late and gyms early in the morning / works on his own business at home in his room, so he's rarely around. I'm looking for a considerate, clean person that treats other people's / spaces with respect, and looks after themselves. This apartment would suit a like-minded professional.